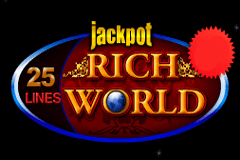 ABBA sang about Money, Money, Money, and anyone scooping one of the big prizes on offer in EGT’s Rich World video pokie is going to living in a rich man’s world. OK, maybe not rich, but there’s certainly some big potential rewards to be had from this wealth-themed game, including a high-paying wild symbol and the chance to land a progressive jackpot. Played out over 5 reels, with 25 paylines across them, it’s an attractive game where a picture of skyscrapers is behind the dark reels. At the top of the screen, there’s the Club, Diamond, Heart and Spade progressive jackpots, each slowly rising in value as a small portion of all wagers made on EGT online casino games goes into a pot, waiting for a lucky player to be awarded the random Jackpot Cards game. 1, 5, 10, 20 or 25 lines can be activated, making the low limit bet just 0.01, or 0.25 to get all lines in play and the top bet is 500.00 per spin. Free Rich World video pokies are offered if punters just want to test it out, but even those playing for the minimum stake can trigger the bonus rounds and win the jackpot. It’s a mobile-optimised game that doesn’t need downloading to a PC, tablet or phone, so players can try to get hold of the riches on offer from wherever they may be. 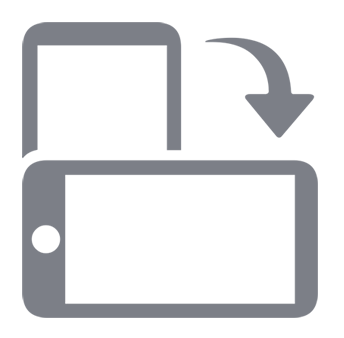 Like many pokies, Rich World uses the playing card symbols to create the lower-value winlines. At least 3 of the same kind will be needed across an active line, on connected reels to get a prize, although the wild and scatter symbols work in different ways. The top half of the pay table is made up of unique images that give the game its distinct theme, including gold credit cards, buildings, the ‘Money’ newspaper, a bank and gold bars. The highest value symbols are an attractive woman and the rich guy, who is also a wild symbol. This means that he’s able to act as any of the above if it’s then possible to complete a winning combination, or he can also stretch a line of winning symbols across extra reels which will result in a higher payout. A bank sign will be worth up to 5000 coins when it lands on the reels, and as well as this big prize, any 3 or more, in any positions, will trigger a free spins bonus game. There’s 15 20, or 25 bonus spins when 3, 4 or 5 of these scatter symbols appear, and to give players a little more chance to land a few wins, the wild symbol will be stacked. If 3 or more scatters turn up in a free game, extra spins are added on to the end of the current round. There’s the option for brave players to enter a 50/50 gamble round where the goal is to predict if a playing card is from a red or black suit. There’s the option to double it over again or collect the win if correct, although punters should approach this round with caution, as any wrong pick, at any point, loses not only the gains made so far in the gamble, but also the triggering win. While the gamble game is an option that players will be able to take after any win of less than 700 coins, the Jackpot Card progressive feature is far less common, as once triggered, a win is guaranteed. Before claiming a jackpot however, players will need to pick cards from the 12 laid out before them, revealing the suits as they do so. Once 3 of a kind have been found, the corresponding jackpot is instantly won, and they range in value from the smaller Club to the substantial Spade, so if this is won, then it could be a rich world indeed. Pokies themed around wealth are nothing new, after all who wouldn’t want to be reminded of what they could own if they get a big win? Rich World has some potentially huge prizes waiting to be won by those who line up the right symbols, with wilds and scatters being particularly valuable, although even these are dwarfed by the progressive jackpots. Of course, the Jackpot Cards round isn’t going to be triggered every day, and so anyone playing this pokie will be far more likely to get the steady, reliable winning combinations created by regular symbols, but like all games from EGT, this one has a high return to player percentage.